When you buy a jar of honey in the supermarket, one would tend to make the assumption that it didn't go on much of a processing journey from the beehive to you. Honey has been used as a natural preservative for centuries, so why would you need to adulterate it? Most honey found on the supermarket shelves is “ultra-filtered” which removes all traces of the original pollen from the substance, making it easy to adulterate with corn syrup and other cheaper materials. This means that the anti-allergy benefits of honey are completely negated by this filtering. Organic honey bought from a local farm is most likely to be "real" honey, it is supermarket honey that isn't safe. In fact, they’re almost guaranteed to be fake. According to the FDA (as well as the food safety divisions of the World Health Organization and the European Commission), the one test that authenticates honey is the presence of pollen. No pollen = not honey. Tests have been carried out which showed that 76% of supermarket “honey” had no pollen in it at all. However, every sample bought from farmers’ markets, co-ops, and natural food stores was found to be packed full of pollen. “I don’t know of any U.S. producer that would want to do that. Elimination of all pollen can only be achieved by ultra-filtering and this filtration process does nothing but cost money and diminish the quality of the honey”. “In my judgement," he continued, "it is pretty safe to assume that any ultra-filtered honey on store shelves is Chinese honey and it’s even safer to assume that it entered the country uninspected and in violation of federal law”. This idea was confirmed by Richard Adee, a U.S. honey producer who keeps 80,000 hives. In the normal honey-making process, honey is filtered to remove bee parts, waxes, and other debris. This routine filtration is no cause for alarm. Almost all the pollen remains intact in the honey. So what's the point in hiding all of the pollen and making the honey untraceable? 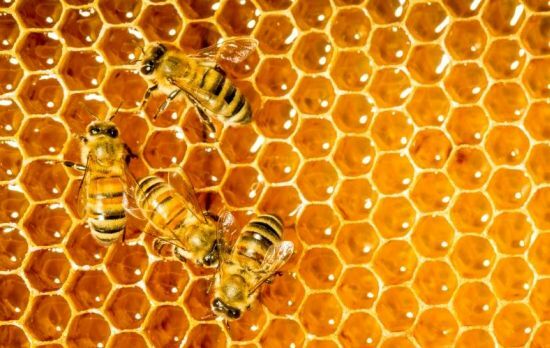 The reason is because it’s likely to have come from China, and Chinese honey is cheap, diluted with high-fructose corn syrup and sweeteners, and tainted with all sorts of chemicals and antibiotics. Be aware, be cautious, look at the labels on all food that you buy. Don't trust a first glance.